Brexit: How has it impacted the student accommodation market? When the Brexit referendum result was announced in June 2016, there was a real fear that foreign investors would exit the UK market. So it might come as a surprise to hear that the threat of a mass-exodus doesn’t seem to have materialised – certainly not so far. And that’s great news for the student accommodation market. Although applications for university places have dropped since Brexit, from both UK (-5%) and overseas students (-7.4%), according to a report by KPMG, it doesn’t change the fact that there’s still a shortage of suitable housing for the rest. The student population has grown by nearly 800,000 in the last 20 years, now standing at 2.27 million, and the construction of purpose-built accommodation hasn’t kept up. Why does the UK attract students and investors? In the six years to 2013/14, the proportion of non-UK students living in purpose-built accommodation rose from 4.3% to 10.8%. And although the number of applications has dropped slightly in the last year, as long as student numbers don’t get caught in immigration limits. The reality is that a higher education qualification from the UK is still well respected overseas and as sterling has dropped, it’s made tuition fees and living costs more attractive. Wealthy businesspeople and state-owned investment funds, mainly from Asia, seem to be ignoring Brexit. They’re more focused on what looks to be a solid and increasing demand for the new-build units that are providing students with an exceptional standard of living. In May, the Guardian reported that it was standing room only at the Student Housing 2017 conference in London, with the organiser calling student housing a “truly global asset class”. In the ‘old days’, student housing was seen as cheap and tatty digs. But now, rents for this new breed of luxurious student accommodation are keeping up with - and sometimes exceeding - levels paid by working professionals and other tenants at the higher end of the market. Of course, the question’s been asked: do students really deserve this quality?! The answer seems to be, yes, because rather than living up to the ‘party hard’ image, most students today seem to be very conscientious and want to live somewhere nice: modern, well-equipped, comfortable and secure. This new generation of units are either en-suite bedrooms or studio apartments and many have hotel-style facilities, including gyms, pools and concierge services. Location-wise, they’re usually just a short walk or bus ride into the city centre and close to shops, restaurants and other amenities. The benefit to investors of these new builds being such a high standard is that it means they’re likely to appeal to more than just students. So, if EU students do choose or are forced to leave the UK because of Brexit, check if the accommodation could easily be marketed for sale or rent to young professionals or even turned into hotel rooms and apartments. This level of flexibility of purpose reduces the investment risk. There are certain locations that are most likely to be affected by EU students leaving. Scotland is particularly vulnerable because there are no tuition fees, followed by university cities in England that appeal to foreign students because of their history and/or reputation. Those include Oxford, Manchester and Southampton. 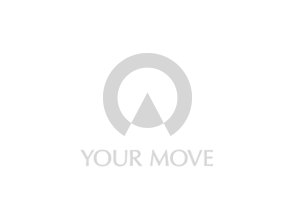 For more information on investing in student accommodation in your own area or somewhere else in the UK, just contact your local Your Move branch.